Ah…winter. The time of year that cold climate dwellers love to hate. 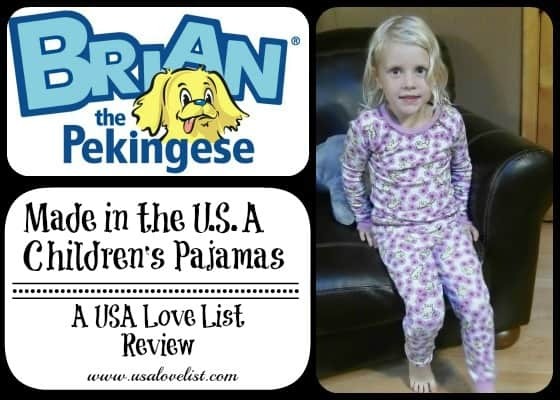 The time of year when family sickness lingers….and lingers. The time of year where you just really wish you could throw open all the windows and air the germs out of the house, but can't because EVERYTHING INSIDE WOULD FREEZE… Yes, the struggle is real. This is why the American made Intellipure Ultrafine 468 air purifier has been a welcome addition to my home this year. Everyone who supports the American Made movement knows that it's really, really challenging to find home appliances that are made in the USA. 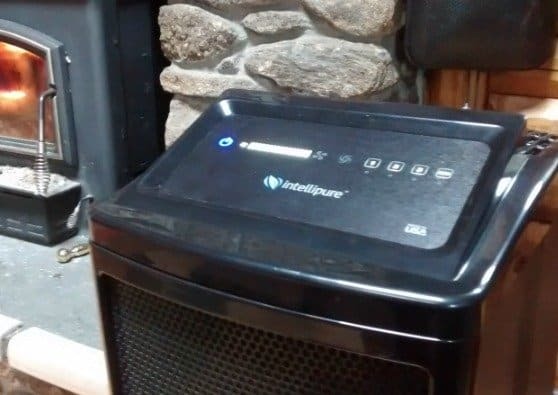 This is why I became especially interested when I was asked to review the Intellipure Ultrafine 468 air purifier, which is manufactured in Pulaski, New York. I love the background behind how Intellipure air purifying units became designed and made in Pulaski, New York. Intellipure founder and CEO, Vincent Lobdell, grew up in Pulaski. He brought the company’s headquarters to his hometown by purchasing and renovating an old mill that was built in the 1830s and about to be demolished. For over 30 years now, Intellipure has become a part of Pulaski by employing its residents. Air purifiers, like the Intellipure Ultrafine 268 that I received, are assembled by hand, not by mass machines. Each unit is also individually tested and certified using a class 1 particle counter. I know that my unit received the special attention of one of those employees before it was boxed up and sent my way. 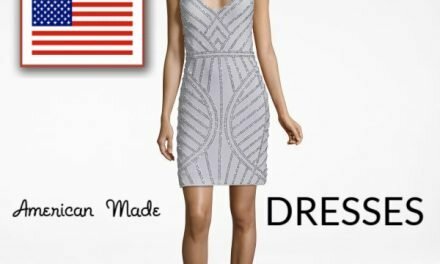 This is what American made is all about- creating quality products, supporting jobs, AND revitalizing small towns! Have you ever really thought about the air pollution that exists inside your home?! Honestly, I hadn't. 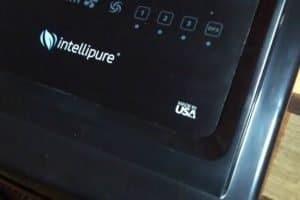 The Intellipure Ultrafine 468 is the only air purifier on the market that combats all three air pollutant categories: Micro-Organisms, Volatile Organic Compounds (VOCs), and Particles. We heat with a wood stove. Wood smoke from the wood stove is an indoor air pollutant that can lead to breathing problems, sinus infections, and even bronchitis. 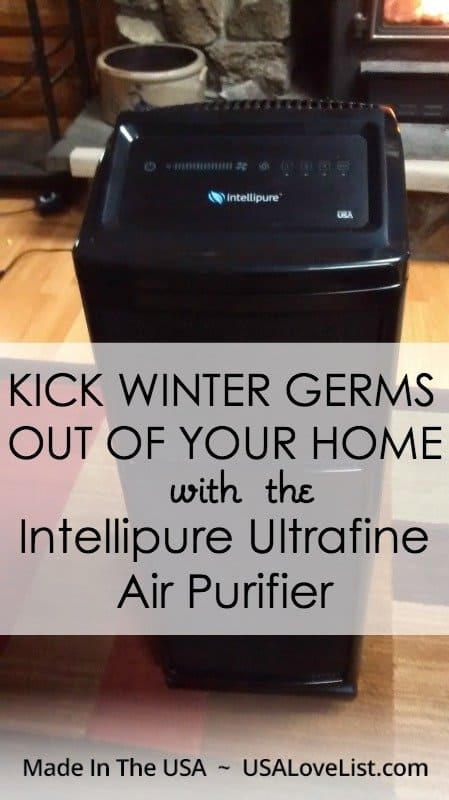 The Intellipure Ultrafine air purifier is designed to remove 99.9% of airborne particles down to .007 microns in size, including the fine particles and gases (VOCs) emitted by my wood stove. I have 2 kids in elementary school, which means in the winter we get ALL THE GERMS. Last winter was the worst ever as we really did get everything- the stomach bug, the flu, bronchitis, sinus infections… did I say EVERYTHING?! This year I am really hoping that we remain in the clear, and so far so good! We have been using the Intellipure Ultrafine 468 since last October, the start of cold and flu season. Our unit is most often in the basement family room where we spend most of our time (and where the wood stove is). Everyone has noticed a big difference in the quality of the air we are breathing. The dank basement scent is gone and the air just breathes in cleaner. My son, age 10, will often turn the unit on when he notices the air quality going down- yes, it is that easy to use! The unit is lightweight and even has wheels, so it is easy to move around the house as well. I would recommend the Intellipure Ultrafine 468 to everyone who is looking to improve the air quality in their home by reducing air pollutants. I am honored to add the Intellipure Ultrafine 468 to our list of American made appliances. 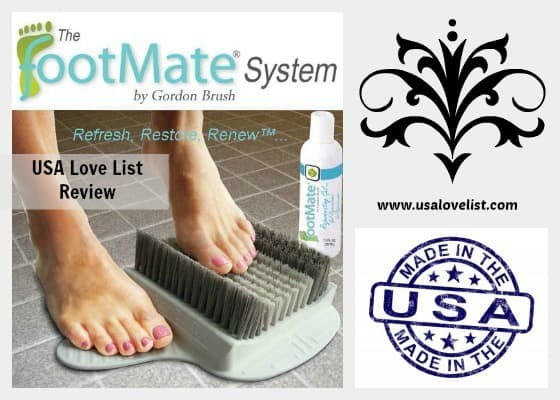 I received an Intellipure Ultrafine 468 to review for this article, which I am happy to disclose because USA Love List only shares products that we truly love. Before you go, check out our list of American Made Kitchen and Household Appliances. There are some surprising finds! Any luck finding humidifiers or dehumidifiers made in the USA? I haven’t seen anything yet, I will look though! This thing sounds great. We need an air purifier. My allergies get worse in Winter because turning on the heat seems to loosen all the dust in the vents & blow it out. Ugh. I had heard heating with wood is not good to breathe, esp with downdrafts. We used to heat with wood, and I had wanted to again. I never thought about a purifier. I wonder if it is good for cigarette smoke, too, where I am now, we breathe the air from other units, yuk. I want to check this out. With all the pet dander in our house I have been shopping for a good air filter. This one looks very effective.